I am a Hindu woman from Kerala and I don’t want to go to Sabarimala. You will find hundreds of thousands of us in Kerala and elsewhere. Highly educated professionals, writers, etc. who will agree with me. Why? Because, Kerala Hindu women have temples and festivals exclusively for themselves. Ours was a matriarchal society where only the women inherited. We have a temple where once a year the priests there will wash the feet of every woman devotee who comes there because a woman is the representation of the Goddess. We have a temple in Mannarashala where the priests are exclusively women, We have Thiruvathira, which is an exclusively women’s festival and no men allowed in the vicinity. We have Pongala a pooja where lakhs and lakhs of women take part in it at Tiruvananthapuram. Since the temple cannot hold all these vast numbers, Trivandrum literally shuts down and it’s streets are full of women. Yes, exclusively women. Contrary to that, Sabarimala is the one place in Kerala which is exclusively for men. This is where our men go together. It’s a male bonding thing like fathers and sons, brothers, uncles, grandfathers, all the male members in a family or community or friends. The whole community irrespective of caste, wealth, creed joins in including the women. Yes, many of us keep fast with the men in our family. Also women of young age and older ones above 60 are allowed inside Sabarimala, which is never shown by media. This is done because Lord Ayyappa was a Brahmachari, which, pseudo secular morons fail to understand. These forty days are a source of great joy and peace for us. In many homes, it is the only time of the year when men don’t drink, no non-veg food, every one gets up very early in the morning around 4:00 am, bathe, do their pooja, visit the nearest temple, the family gets together and it brings family members in together. There is peace in society because many alcoholics are detoxing. There is a bond not only in the family but in the community. You go for bhajans in the evening. Again the family goes together. The community gets together, very important in this day and age when everyone is working especially in Kerala. After 40 days the men go to Sabarimala, sometimes taking their aged mothers with them and maybe the older children including girls who haven’t yet menstruated. The women have the home to themselves. Three days or until the men come back to do as they please. What do they call this is modern terms? Yes, men having their own space and women their own space and time out. Well, we have been doing this for a long time—keeping our cultural ethos and values in mind while doing so. So request all the pseudo secular people, media and peaceful minority to mind their own business and work on women equality in their society, which is indeed in a shameful state. Please mind your own business and let us do the same. 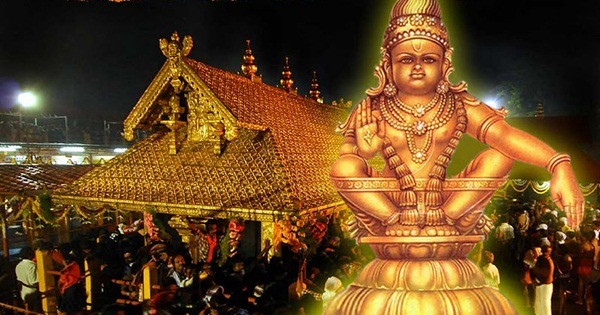 Defence by History: Open Letter to Chief Justice by an Ayappa Devotee on Sabarimala Sabarimala Case: ‘Ready to Wait’ Campaign Appeals Hindu Devotees for Support Sabarimala Petition; Who Decides If a Religious Belief Is Superstitious or Legitimate? Open Letter to PM Modi: Rehabilitate Kashmiri Pandits First Rather than Building Homes for Rohingyas in Myanmar Open Letter to TOI on Reserving the Right to Sing India’s Historical Glory by Ravikumar Pillay When a Woman is Determined, None Can Stop Her. Delhi Lady Vidhi Did It!